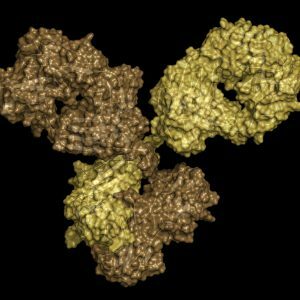 Recombinant Ebola virus like particles expressing nucleoprotein, glycoprotein and matrix protein, produced in mammalian HEK293 human cells. Ebola Virus-Like Particles (Zaire subtype) are produced in human HEK-293 cells. 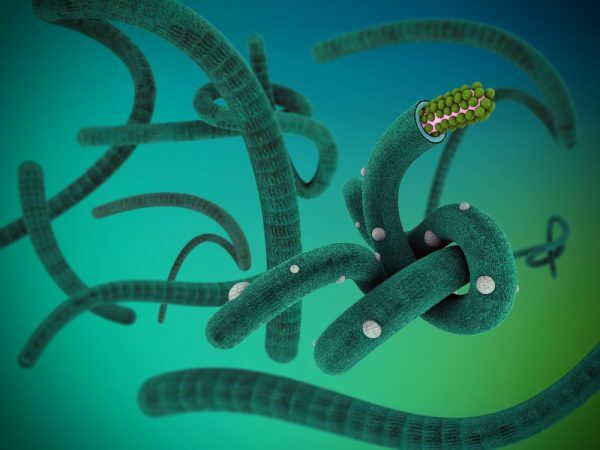 Ebola structural proteins, nucleoprotein, glycoprotein and matrix protein are transiently expressed to form a particle, without the non-structural proteins or genome. The resultant particles are non-infectious. Electron microscopy shows that the VLPs are around 20nm by 1000nm long. A detailed description of the particles, together with results of EM, SDS-PAGE and MS analysis can be seen under the COA/SDS tab on this page. Ebola hemorrhagic fever (EHF) is a severe disease caused by several species of Ebolavirus (EBOV), in the family Filoviridae. Prior to 2007, four species of EBOV had been identified, with two (Zaire ebolavirus andSudan ebolavirus) having caused significant disease outbreaks in humans. The presence of a fifth EBOV virus species, Bundibugyo ebolavirus (BEBOV) was identified after an outbreak of EHF in the Bundibugyo District of western Uganda in 2007. Outbreaks of EHF are associated with person-to-person transmission after the virus is introduced into humans from a zoonotic reservoir. During outbreaks the virus is commonly transmitted through direct contact with infected persons or their bodily fluids. The onset of EHF is associated with nonspecific signs and symptoms, including fever, myalgias, headache, abdominal pain, nausea, vomiting, and diarrhoea. In the later stages of disease, overt haemorrhage has been reported in up to 50% of cases. Ebola Virus-like particles offer researchers non-infectious material containing Ebola structural proteins in a particle format. The Zaire subtype of the Ebola virus family is currently the most important in relation to outbreaks of disease in humans. This subtype has been responsible for the largest ever outbreak of EHF, which started in West Africa in 2014, and was finally declared over only in early 2016. The Boende-Lokolia strain was identified at the beginning of this outbreak in the villages of Boende and Lokolia in the Democratic Republic of Congo. 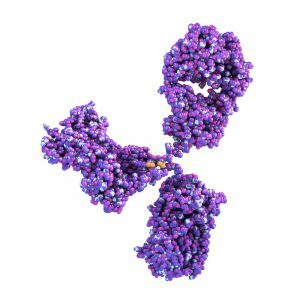 ****SHIPPING AND STORAGE NOTIFICATION: This recombinant protein is presented in liquid format. It is shipped at ambient temperature, and may be stored for up to 1 week at 4C on arrival. For long term storage it should be maintained at -80C. Multiple freeze/thaw cycles should be avoided.